Digital work has increased tenfold in the recent decade. This has brought in a massive surge of documents in various formats, one of which is known as PDF. This is the most widely used format as it does not allow any form of editing. There are various pieces of software that can be used to convert documents to PDF. Here are top 10 free PDF printer that can be used to print PDF. PDFelement ProPDFelement Pro is a highly recommended PDF printer. It helps you to convert other file formats to PDF. And it also works as a virtual PDF printer, allowing you to print PDF at your desired printing parameter. You can also get multiple tools to edit your PDF files. How to Print to PDF: Go to the top of tool bar, click "File" and select "Print", you can freely print PDF files. Moreover, this PDF printer provides you several options that you can choose specific pages, decide page size and the orientation of PDF files. Create PDF from other formats including existing PDF files and images. Convert PDF to Word, images, ePUB, Text and other formats. 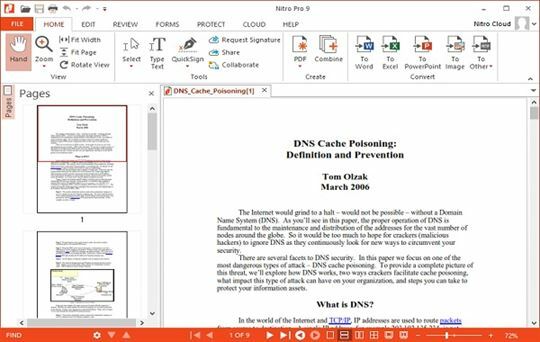 Edit PDF texts, images, pages, links and more elements. 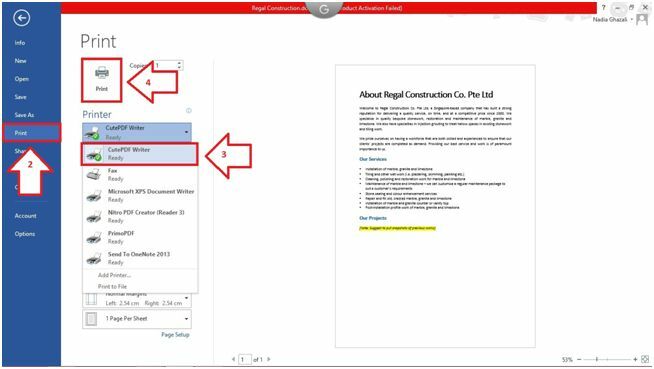 Useful form function to fill and create PDF form and extract form data. Easily optimize, share and print PDF files. Apple's preview is an amazing app which allows easy and convenient viewing and editing of PDF files and images. With this app, you can easily read PDF files and view images that may come in a variety of formats like JPEG, TIFF and PNG. 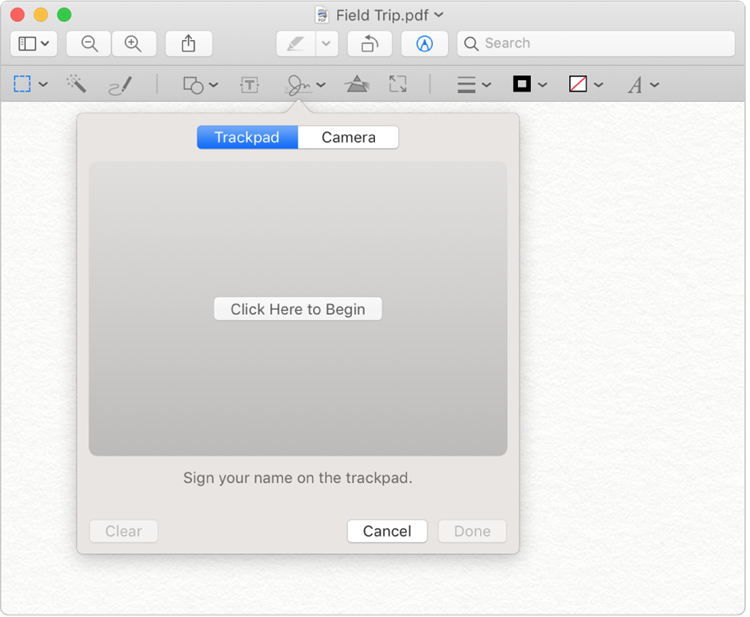 Apple's preview comes with the additional editing features which enable you to alter the size of the image, crop it and annotate it. How to Print to PDF: You can free print to PDF file by clicking on View > Customize Toolbar and then clicking on print option. You can create a signature with this app. You can view your photos using a photo slide show. At times the app may get stuck and may stop functioning. 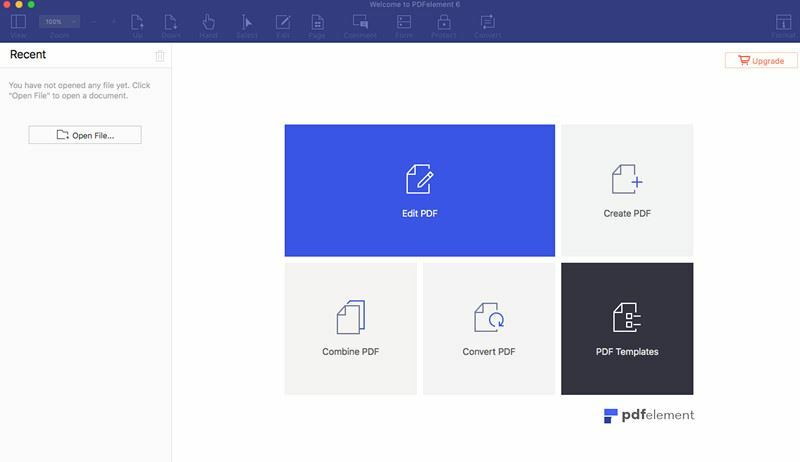 iPubsoft PDF creator can prove to be very useful. It allows you to print PDF files immediately. Now creating PDF files with the help of iPubsoft PDF creator from text and image file including JPG, JPG, PNG, GIF, TIF, BMP and word Docx is just a few buttons away. How to Print to PDF: Just click the tab of “PDF” and choose “Save as PDF”. Select a folder to save the converted PDF files on your Mac and give the file a new name. Click “Save” to begin the conversion. iPubsoft installer is scanned and checked for viruses, so it is absolutely secure to download and use. It requires a PDF viewer in the system to view files which is an additional overhead of this software. Adobe Acrobat Pro is a professional PDF printer with the aid of which you can save your documents in the PDF format. It is a text editor and it comes in a variety of basic features like different fonts, bullets, highlighted text and tables. With this PDF printer, you can also send PDFs out for review and collect everyone’s comments in one place. PDFs are also easier to store and search. And it helps you to protect them, PDFs are more secure than paper, too. 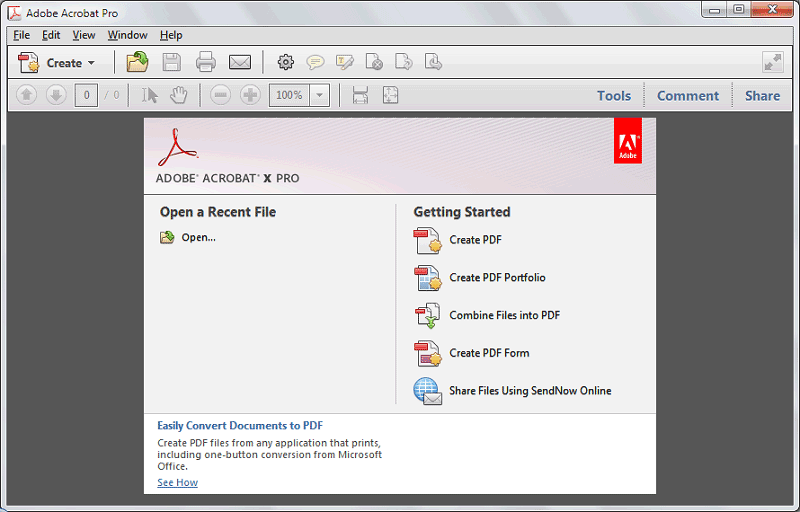 How to Print to PDF: Open the file which you want to convert in Adobe Acrobat Pro. Click on the PDF option from the File drop-down menu. Your file will be converted to the PDF format. Now click on the file menu. A dialogue box opens. Select the print command. Your file will be printed easily. Professional features allow you print to PDF files easily. PDF printer free download, but need pay for some functions. PDF24 Creator is the best free pdf printer, which makes the process of printing PDF as easy as a breeze. Many other programs can perform similar function but PDF24 Creator is distinguished from other simple PDF programs. As it has the ability to convert any sort of material: document, image or from any application, into a PDF file. It is able to create PDF files from many different applications. Available in several languages. One of the most versatile free PDF printer out there is the Nitro PDF printer which helps you convert your files to PDF format, edit and sign them effortlessly. It features a nicely designed interface which is very user friendly making the program a pleasure to use. The software enables you to edit files by adding annotations, sticky notes and highlighting text. Plus, you can extract all images from your PDF file. How to Print to PDF: Open the file you want to print, and choose the ‘Print’ option from the file drop down menu. The following dialogue box opens, select ‘Nitro PDF Printer’ from the printer drop down option, set the printing options according to your needs. Click ‘OK’. Can extract images and text from PDF files – Unique feature. Compatible with android phones. Interface utilizes Microsoft Office style. doPDF is an efficient distinguished Portable Document Format (PDF) printer by Softland, that can print in order to create a PDF file. It enables you to produce PDF files from any type of printable documents. To accomplish this task, the software i.e. doPDF installs a virtual PDF printer driver that appears in your Printers list as well as in the list of All Programs and/or faxes. 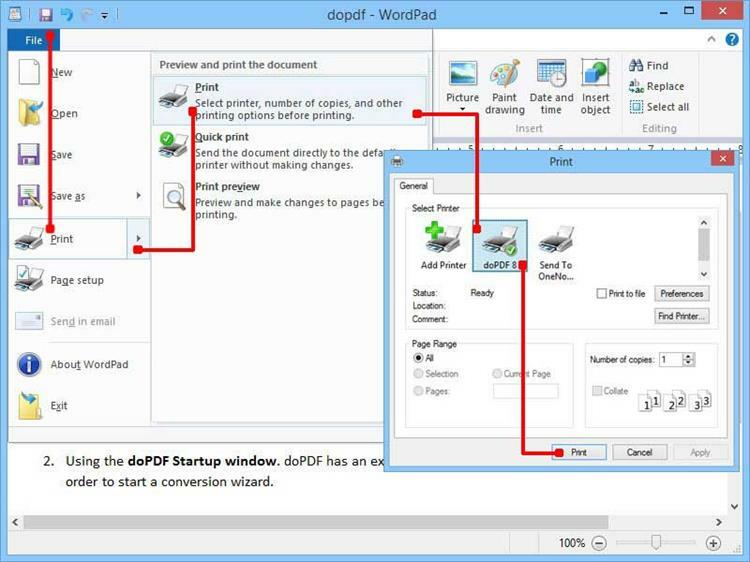 How to Print to PDF: Firstly, you need to open the required document (that is to be converted say Word, Excel, PowerPoint, WordPad, NotePad or any printable document), then you have to choose the Print option and click on doPDF from the list of printers. And finally hit on print. Your file will be printed successfully! Different PDF files can be created such as: those for web publishing (i.e. smaller ones) or for printing (high quality). CutePDF Writer is a free PDF converter and editor developed by Acro Software. It also acts as a virtual printer and is installed as a ‘printer subsystem’ which enables any printable Windows application to convert into a professional PDF file within no time. Installation takes minutes and is configured automatically in the Printers folder, named as CutePDF Writer. It is extremely simple to use without a complicated control panel, unlike the Professional version. How to Print to PDF: Open the file you want to convert. Select the Print option from the File drop-down menu. A dialogue box opens, select CutePDF Writer from the drop-down Printer Names list. Set the printer functions according to your requirement. Lastly, click on OK. The software is 100% free for commercial as well as non-commercial uses! No ad ware & malware. The software requires PS2PDF converter. Ghostscript is the recommended interpreter. The Bullzip PDF printer is a free PDF printer for Windows that allows the user to write PDF documents for almost any windows application. This software has some additional features that other software doesn’t offer such as watermarks, customizing the font size and style, Rotation and transparency and merging PDF files. You can now tweak the quality settings of your document such as eBook, printer, screen etc, and can password protect your document too. How to Print to PDF: The software works with all those applications which offer a print option. Go to the print option and simply select the Bull zip PDF printer instead of your usual printer. Your document would then be converted to PDF format and can be saved easily. The software is free plus it allows you to create PDF’s from literally every Microsoft program i.e word, Excel, Power point, Text files, drawing files and even images. The software however does not allow for an image watermark to be added to the output files.